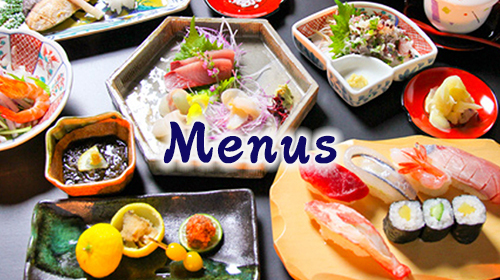 This menu is recommended, if you are not a big fan of raw items. 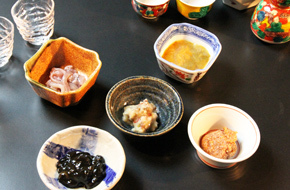 This set comes with eight pieces of sushi, such as octopus (steamed), conger eel (steamed) and gizzard shad (soaked in vinegar) with a chef’s touch. 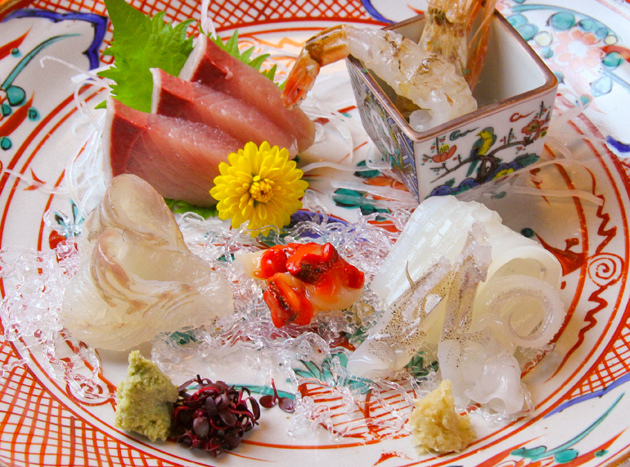 This is especially recommended, if you are not a big fan of raw fish. ＊There are still some raw items included. if you are not good at raw ingredients at all, please let us know in advance. Would you like to have some just for the taste? 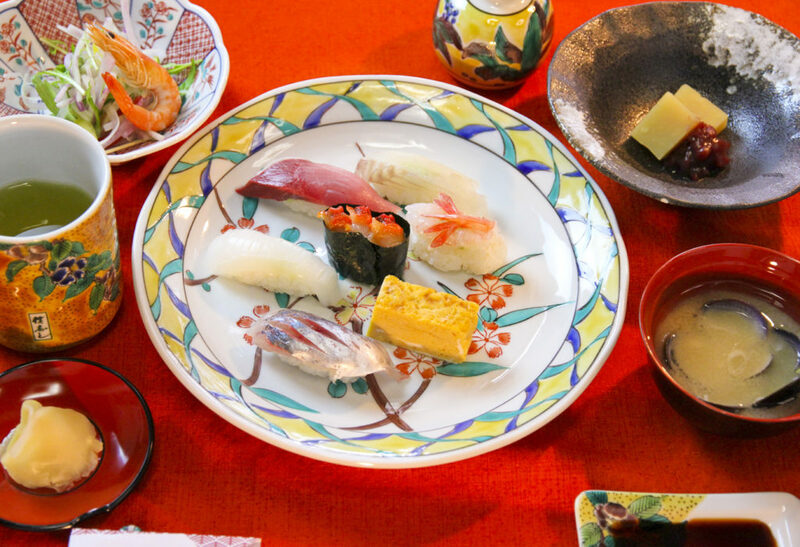 Then this will be the perfect choice – six pieces of sushi with lots of local flavors. In case if you need a bit more, just ask for more. 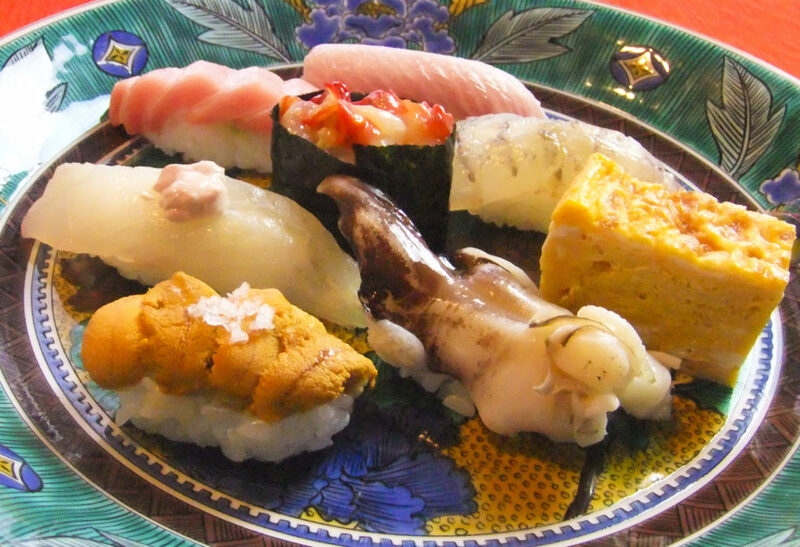 Enjoy nine pieces of sushi. Feel free to ask for additional pieces. How about treating yourself to a healthy and luxurious lunch that starts with salad? You will surely love it. 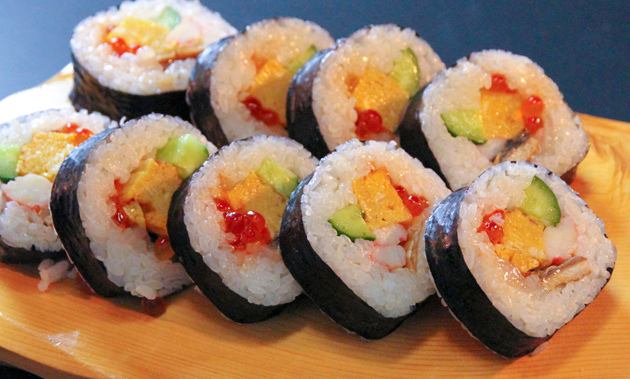 Additional orders for sushi are always welcome. 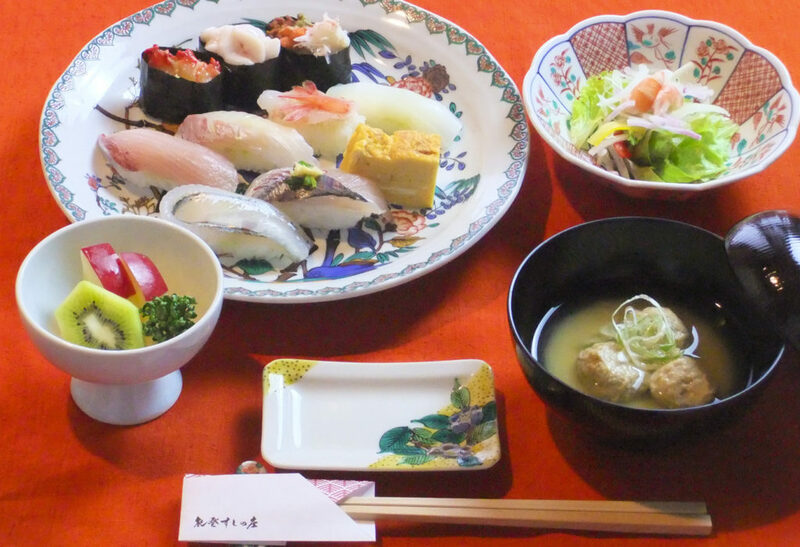 Would you like to enjoy both sushi and other Japanese dishes? It will take some time without advance reservations. Thank you for your understanding. 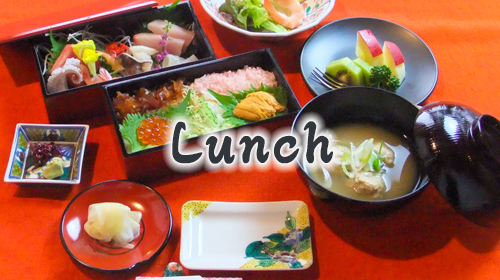 We recommend to make a reservation if possible. 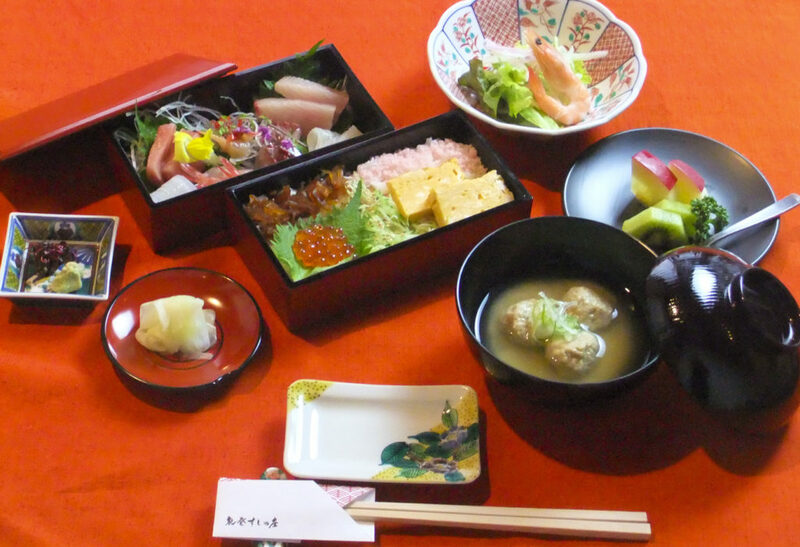 Sushi rice and sashimi are served in two separate lacquered boxes (oju). 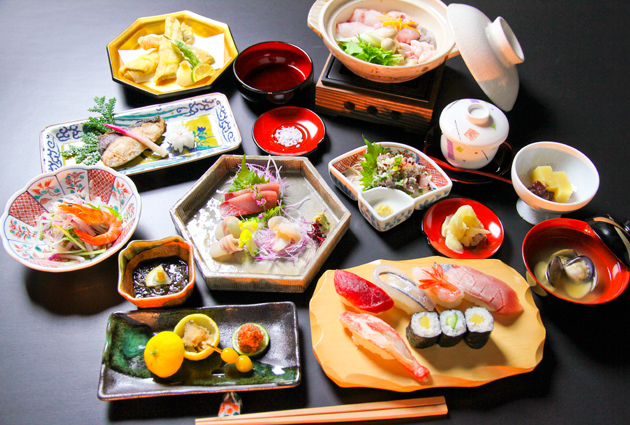 This is “Chirashi Zushi”. 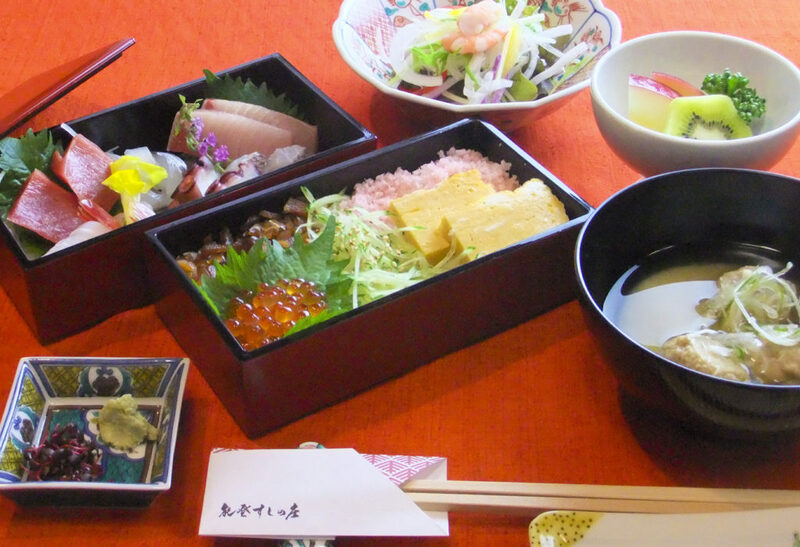 Sushi rice and sashimi are served in two separate lacquered boxes (oju). 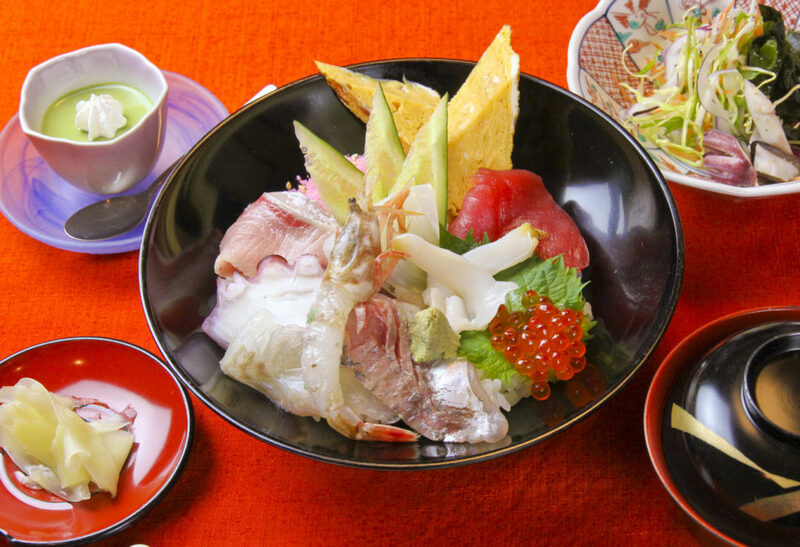 “Chirashi Zushi” in a bowl of rice with seafood on top. 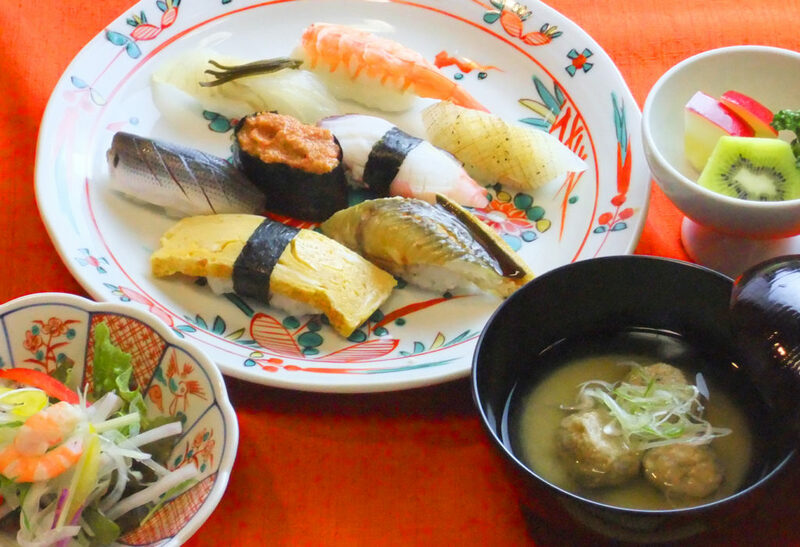 Enjoy the hearty gifts from the sea. 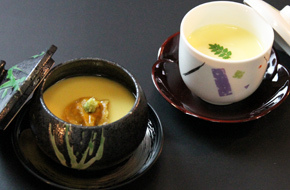 There are two typical ways to enjoy this dish. Pour wasabi mixed with soy sauce into the bowl directly, or dip each sashimi into wasabi with soy sauce and put it back on to the rice. 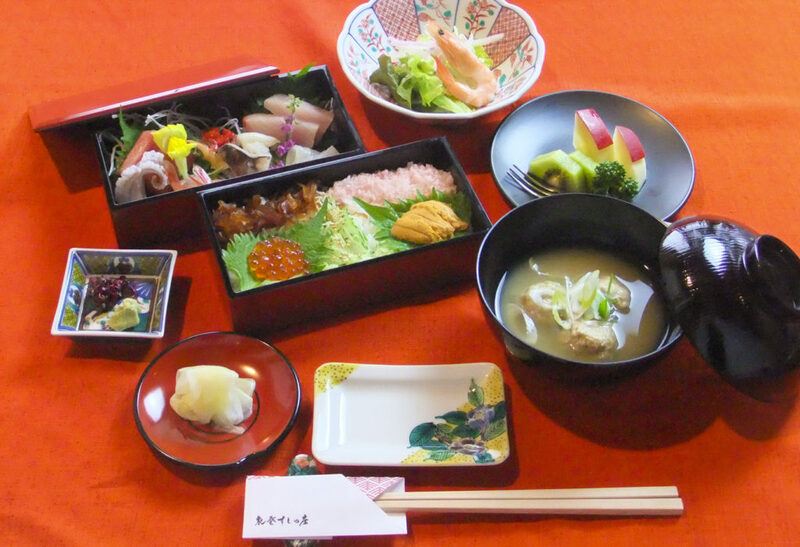 Takeout and home-delivery are also available. Since our doors first opened in 1961, we’ve been using a traditional method to prepare Sukonbu (kelp marinated in vinegar). 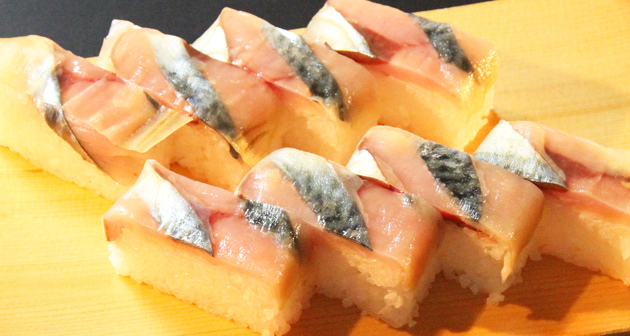 Enjoy the harmony of three elements, Shari (sushi rice), Shimesaba (raw mackerel salted and marinated in vinegar), and Sukonbu . This is also a popular item to takeout. 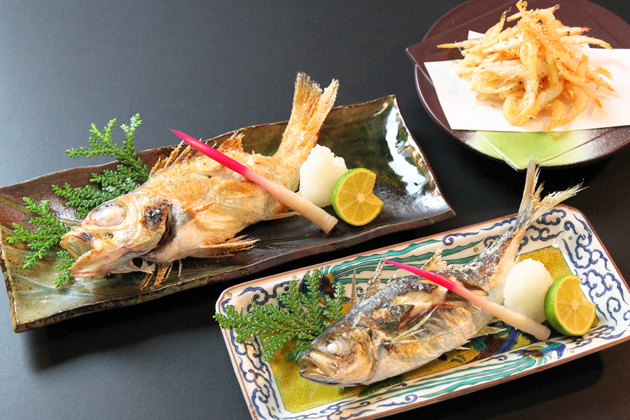 When you are in Noto, you must try the local fish. 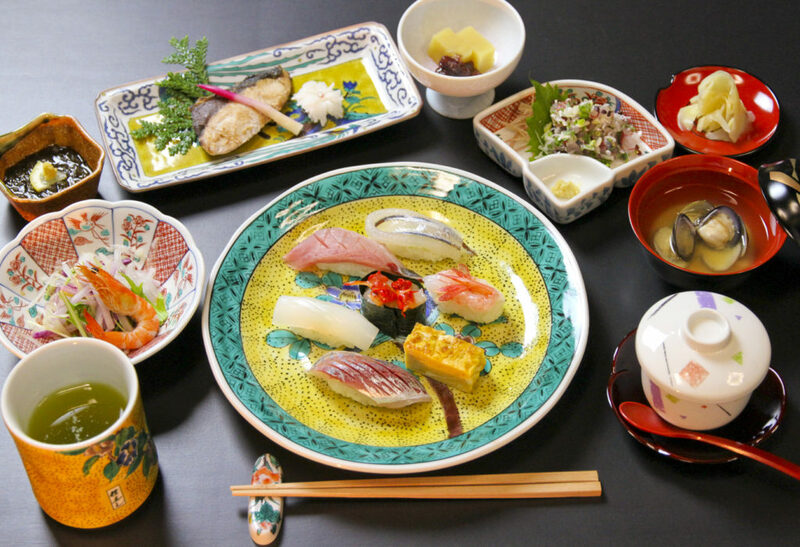 Chawan-mushi (Japanese steamed egg custard) with seafood, special Chawan-mushi, today’s simmered fish, today’s grilled fish, various crab dishes, various hot pot dishes, seasonal “Nuta” (fish salad with vinegar and miso), various Sunomono (vegetables/seafood in sweetened vinegar), various homemade delicacies, tempura, and etc. We are happy to cater to your budget. Please feel free to ask for more details. All-you-can-drink and lodging plans are also available. Whether for a family celebration, a birthday party, or for any special events, we are happy to help turning it into an unforgettable event. We are also suitable for various meeting space.